First, the word “abomination” appears more than 100 times in the Old Testament and just a few times in the New Testament. An “abomination” is normally a great sin which is usually worthy of death. But more often throughout the Bible “abomination” refers to major covenant violations, especially idolatry. Matthew 24:15 (KJV) – When ye therefore shall see the abomination of desolation, spoken of by Daniel the prophet, stand in the holy place, (whoso readeth, let him understand:). There is a lot of controversy regarding the interpretation of Daniel chapters 9 thru 11. However, some points appear clear to us. One point is the nature of the abomination that causes desolation. 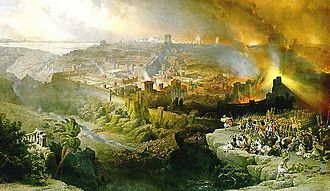 Daniel 9:26-27 makes reference to a prince who will destroy the city (Jerusalem) along with its temple and sacrifices, “and for the overspreading of abominations he shall make it desolate”. Then in Daniel chapter 11 we see another reference to an “abomination” in connection with the Temple: Daniel 11:31 (KJV) – And arms shall stand on his part, and they shall pollute the sanctuary of strength, and shall take away the daily sacrifice, and they shall place the abomination that maketh desolate. Bible scholars generally are in agreement that the first reference of these prophecies is the Seleucid king Antiochus Epiphanes IV. Antiochus ruled Palestine from 175 thru 64 B.C. Antiochus ruled Israel with such extreme violence and oppression that they rebelled against him. 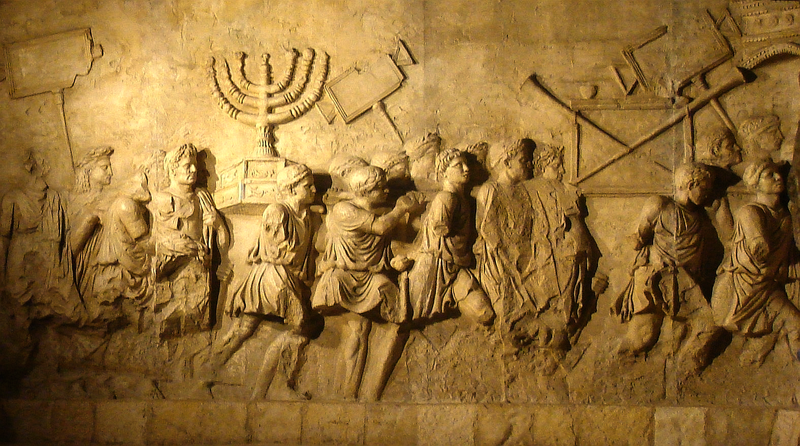 When Antiochus came to suppress the rebellion, his army entered the temple and stopped the regular sacrifices. His soldiers set up an idol of the pagan God Zeus and apparently offered swine as a sacrifice. This act was an “abomination” because it is idolatry. It brought “desolation” because it defiled Israel’s holy place. This act was certainly an “abomination of desolation” or an “abomination” that caused “desolation”. (1) First, Jesus is speaking to His disciples. Notice that Jesus says “when ye therefore see.” The “ye” Jesus was referring to were His disciples that were standing right in front of Him. Jesus is addressing them directly. Jesus is NOT referring to some future generation 2000 years or so in their future. Audience relevance is important when studying prophecy. (2) Whatever this “abomination” is, it was standing in the “holy place”. The “holy place” is the Jewish temple. The same temple that Jesus and His disciples were gazing at while standing on the Mount of Olives. When the books of Matthew, Mark and Luke were written, the temple was still standing in Jerusalem. Matthew 23:38 – 24:2 (KJV) Behold, your house is left unto you desolate. For I say unto you, Ye shall not see me henceforth, till ye shall say, Blessed is he that cometh in the name of the Lord. And Jesus went out, and departed from the temple: and his disciples came to him for to shew him the buildings of the temple. And Jesus said unto them, See ye not all these things? Verily I say unto you, There shall not be left here one stone upon another, that shall not be thrown down. (3) Jesus’ audience couldn’t imagine any other locality because Jerusalem was referred to as the “holy city.” Just a few scriptures to support this statement are contained in Daniel 9:24; Matthew 4:5; Matthew 27:53. (4) Jesus was clearly responding to questions about the temple standing at that time (see Matthew 24:1-2). Jesus even points to the temple as He answers His disciples. This conversation occurred around 30 A.D. Forty years later, in 70 A.D., that “holy place” would be totally destroyed by the Roman Army led by General Titus. So within a biblical generation, which is forty years, the “holy place”, that is the temple, was destroyed. And just as Jesus had prophesied, history tells us that not one stone was left upon another. Luke 21:20-21 (KJV) – And when ye shall see Jerusalem compassed with armies, then know that the desolation thereof is nigh. Then let them which are in Judaea flee to the mountains; and let them which are in the midst of it depart out; and let not them that are in the countries enter thereinto. The Titus Arch in Rome that celebrates the destruction of the Temple in 70 AD by Titus as Matthew 24 prophesied. Matthew 24:21 (KJV) – For then shall be great tribulation, such as was not since the beginning of the world to this time, no, nor ever shall be. (1) First Matthew 24:34 states that “all these things” shall occur in “this generation.” The “great tribulation“ is verse 21 is one of “these things”. (2) Also, consider Noah’s flood. Wasn’t Noah’s flood even worse than the supposed future great tribulation which Jesus mentions in the context of Matthew 24:37-39? The entire human population, except for one family, perished in this flood (1 Peter 3:20; 2 Peter 2:5). (3) To properly understand what Jesus is saying in Matthew 24:21 we must grasp the use of hyperbole in Old Testament apocalyptic language. The language used by Jesus and the Prophets is highly stylized and poetic. Here’s a good example, in Exodus 11:6 we read about the tenth plague on Egypt: And there shall be a great cry throughout all the land of Egypt, such as there was none like it, nor shall be like it anymore. Do you see the point here? Is the “great tribulation” of Matthew 24:34 the worst judgment or is it the tenth plague upon Egypt? This is apocalyptic, poetic imagery. This is the language used by the prophets. While first century Jews understood this, we in the twenty-first century have some difficulty with this type of language. Ezekiel 5:8-9 (KJV) – Therefore thus saith the Lord GOD; Behold, I, even I, am against thee, and will execute judgments in the midst of thee in the sight of the nations. And I will do in thee that which I have not done, and whereunto I will not do any more the like, because of all thine abominations. Here in Ezekiel 5:9 God declares that He won’t ever judge them as He did in this passage. However, in Matthew 24 it happens again. Once again we see the use of apocalyptic, poetic dramatic imagery. Therefore, Jesus’ statement in Matthew 24 verse 21 is dramatic speech that emphasizes the remarkable nature of this event. It is not meant literally and should not be taken that way. Many Christians place the “abomination of desolation” in the future. However, for this to occur the first thing they need is a rebuilt Temple in Jerusalem. While this might be a possibility, there are no scriptures that clearly state that the Temple will be rebuilt in our future. Disagree? 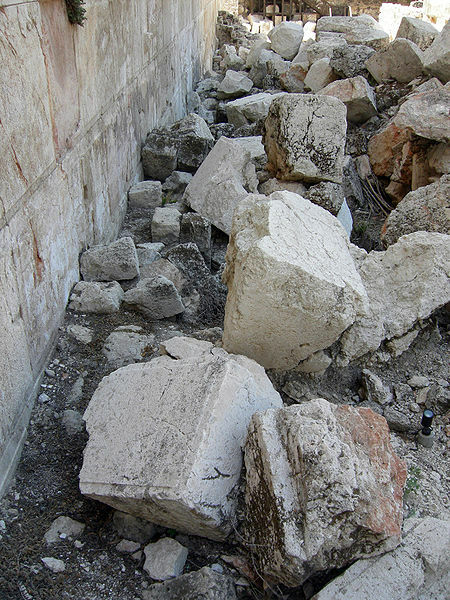 Then for more information on rebuilding the Jewish Temple see the article entitled: The Case for A Restored Nation of Israel. So when you consider audience relevance, context, and the historical record it’s clear that the “abomination of desolation” occurred in A.D.70 when the pagan Roman Army entered Jerusalem and the Temple complex and showed reverence to their pagan deities. The 70th Week of Daniel - A Gap?